This next beauty is one classy and clean buggy. This golf cart has all the right touches to make our fabulous customers stand out from the crowd .. it is simple and classy! 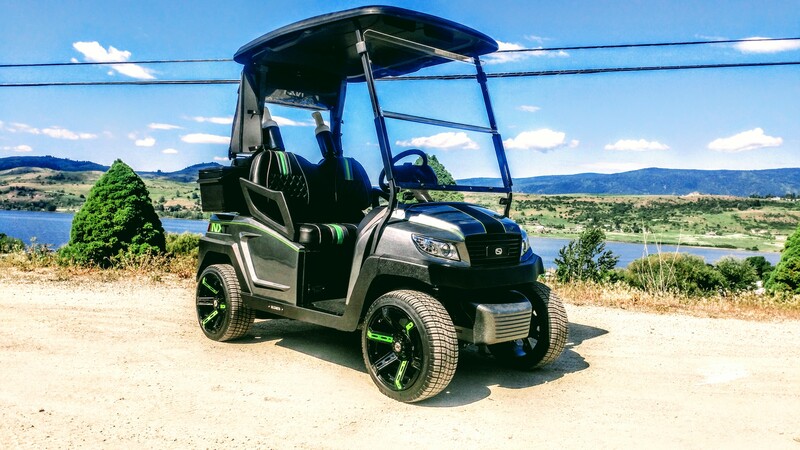 It features lights, golf accessories, SC Carts custom floor mat, private speed of up to 19 MPH, and more! On the lift and getting the full rebuild! Main underbody, battery box and steering on! A custom SC Carts floor mat gives the cart a high end feel! Outside just before being whisked off to it’s new home! This cart hasn’t stuck around long and is already up at it’s new home at Gallagher’s Canyon!